Helena Wayne Huntress: So You Like The Bronze Age BatCat Marriage, But How Do You Feel About The Rebirth Marriage? 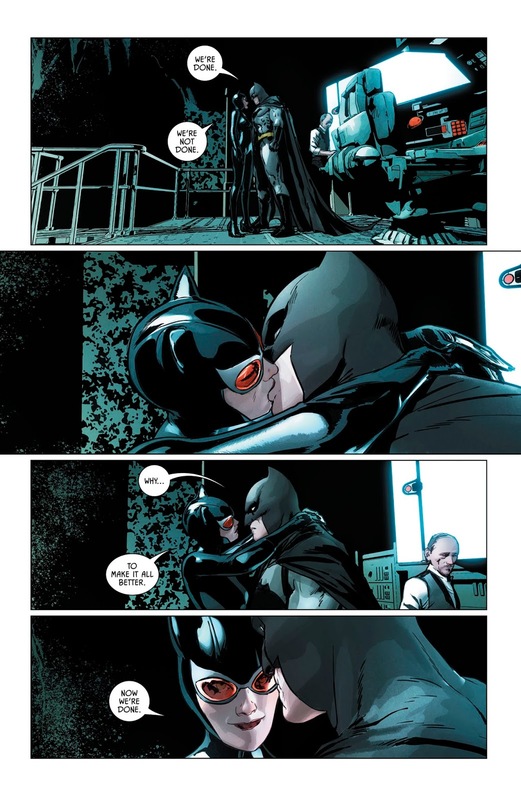 So You Like The Bronze Age BatCat Marriage, But How Do You Feel About The Rebirth Marriage? Friends have been asking me to share my thoughts on the upcoming Rebirth marriage for quite some time now, but I have to admit this was not an easy post for me to write. The fact that this is my tenth draft on this topic should speak to my ambivalence about DC's decision to revisit an idea that was canon 40 years ago for a new generation of Batman and Catwoman fans. How do I feel about the current versions of Bruce and Selina marrying in the Rebirth continuity? For me, it all goes back to how Doomsday Clock puts everything back on the table. To start with, we are still following new versions of the characters that appeared for the first time in 2011 following the Flashpoint reboot. I therefore understand and agree with the criticism that there hasn't been any meaningful interaction between Bruce and Selina prior to their engagement in this new universe to justify a marriage between them. Another valid criticism that I've heard and agree with is that the current version of Selina Kyle is overwhelmingly underdeveloped as a character. Compared to the complex and nuanced individual we had in all of the previous continuities (from Golden Age to Bronze Age to post-Crisis), the Selina Kyle we have now can be best described as a parody of herself. A character who originally became a thief in response to the abuse she experienced in an earlier period of her life in previous continuities got reduced to being nothing more than a kleptomaniac who steals for the sake of stealing and with no regard to the people she hurts in the process. She is also seen as "broken" in this current era of DC instead of as complex. This is a significant departure from past interpretations of the character. Previous versions of Selina Kyle stole exclusively from the rich as a way of reclaiming her own power and freedom, but she never stole from the disenfranchised or other vulnerable members of society. This has always been a recurring pattern with her character in both past continuities and in other media. Selina also had a well established personality, origin story, and character motivations in the previous continuities, all of which are missing from the current version of the character. From both a continuity and narrative standpoint, it really does look as though Bruce is asking Selina's hand in marriage seemingly out of nowhere, and sadly only in response to his father in the Flashpoint timeline asking him to "find happiness and let the Batman die." Already, this takes away some of the sincerity of Bruce's intentions and is a significant change from the Bronze Age marriage. 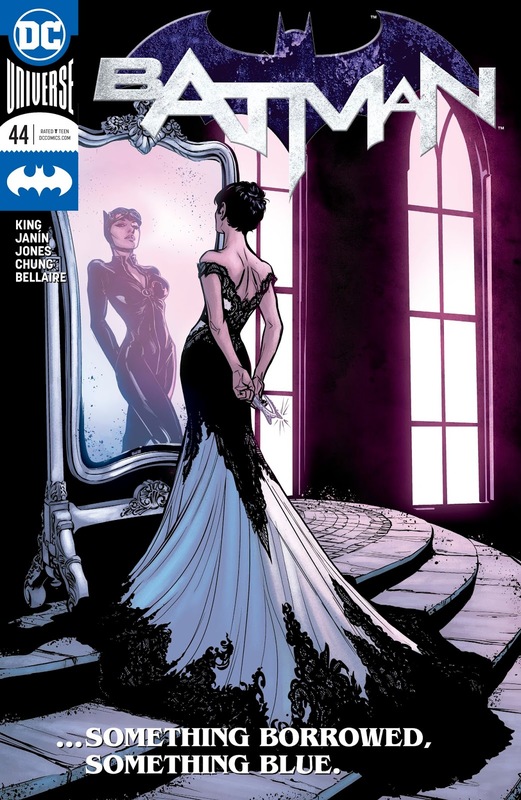 Whereas the original Golden Age version of Bruce asked Selina to marry him after he reflected on his lifestyle choices of the past 15 years of his life, thought about where he wanted to be in life and with whom he wanted to share that life with, the current version of Bruce has done no such reflection. The fact that it took an alternate universe version of his father telling him to move on implies that Bruce never intended to give up Batman under any circumstance, and especially never considered marriage. Since then, Bruce's motivations to marry have not been explored in depth in the current Batman run the way they were in Brave and the Bold #197 three decades earlier. This makes the current engagement feel less like a natural "next step" for both characters and more of a sales gimmick. More than DC and current Batman writer Tom King needed to tell stories like "War of Jokes and Riddles", "Rules of Engagement", and even the more recent "The Gift" storyline, more time needed to be spent developing Bruce and Selina's reasons to marry in order for the engagement to feel more organic. We needed to see these two characters reflect on their respective pasts and lifestyle choices in a meaningful way. We especially needed to see them evaluate their relationship to each other, and whether or not marriage is actually right for them both. We needed to see them think about whether or not they are truly ready to live this life together. We especially needed to see more history developed between these two versions of the characters instead of just telling the reader that "past continuity still happened, just not necessarily in the way you remember it." This actually brings me to my next point. Another thing that's not falling into place for me continuity and story-wise is that between Bruce and Selina, Bruce's continuity is relatively unchanged from the post-Crisis era, which makes him a more strongly developed character compared to Selina. With most of Bruce's past history still intact and all of Selina's past history jettisoned, there is a significant imbalance in character development with Bruce being a more realised character and Selina still needing to be rebuilt from the ground up. Within the current continuity there has been no definitive take on Selina as it has literally changed from writer to writer. This actually brings me back to Doomsday Clock. 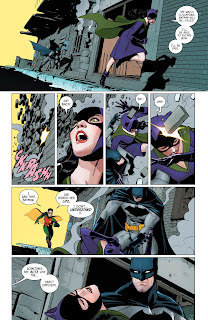 While writer Tom King has not been doing much to develop a past history for Bruce and Selina for the current continuity in his Batman run, he has, however, been emphasising the recurring theme of lost history and changed memories. This is still following the thesis of both Rebirth and Doomsday Clock. Going back to my earlier point about Bruce being a more realised character in the current continuity than Selina, this is even reflected in the way both characters are remembering their own pasts in King's Batman. Once again, between Bruce and Selina, Bruce seems to remember more of their past history together than Selina does, which begs the question of why Selina had her memories completely erased. 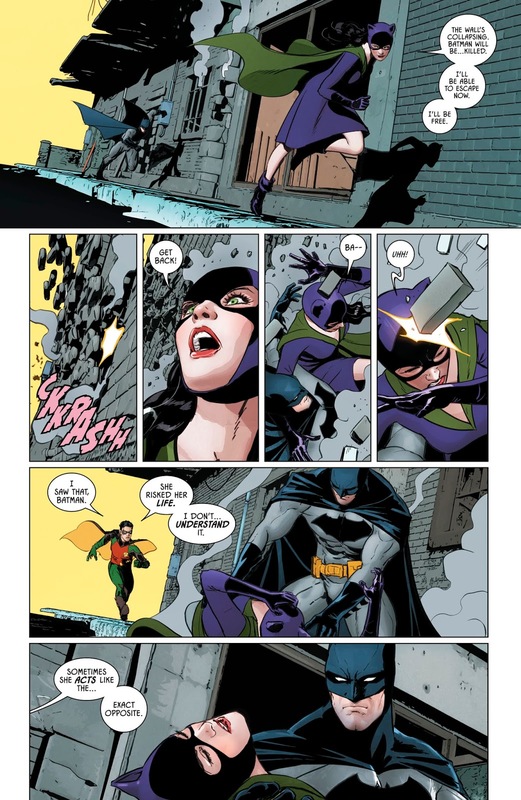 This point was especially driven home as recently as Batman #44, the issue that revisited specific episodes of Bruce and Selina's relationship from previous continuities. With so many broken parts making up the current version of the DC Universe, there is a lot that Doomsday Clock will need to address and repair for any of it to make sense. It's enough to say one thing that will help Selina Kyle tremendously in the current continuity is reinstatement of her post-Crisis history in its entirety. 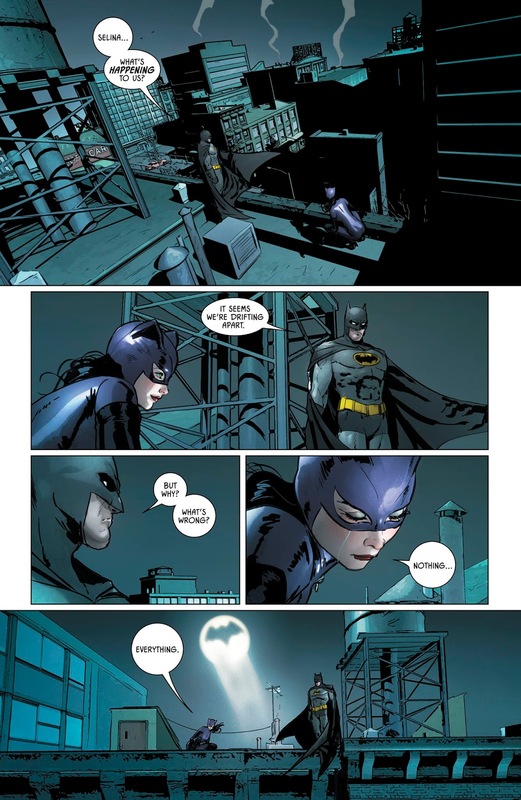 Not only does the post-Crisis Selina have a more realised past and a fully developed personality, but this is also the version of the character that is more relevant to the current version of Bruce Wayne. This would subsequently make the Rebirth marriage feel like a culmination of 30 years of development. While acknowledging the pre-Crisis history is nice, at the same time, it is not compatible with the current versions of Bruce and Selina who have been developed very differently in the last 30 years. This is especially true for the Golden Age versions of the characters who's story together already reached a natural conclusion in 1977, and their legacy lived on through their daughter as the original Huntress. The Rebirth couple do not need to reclaim the Golden Age history, but the Earth-2 Helena Wayne does as this is her history, and the one that makes her relationships with Power Girl and the Justice Society significant to her character. Getting back to the central question of this post, at the end of the day, for me to invest in this current iteration of Bruce and Selina's marriage, I need to see how Doomsday Clock pans out. I specifically need to see how it reclaims Selina Kyle's past history and how this will in turn affect Helena Wayne's own history. Since my primary investment in the BatCat romance has always been Selina and Helena a bit more than Bruce, how these two women are treated and handled is very important to me and the deciding factor in my enjoyment of their stories.